The Surge and Fire Emblem Echoes also enter top 10. 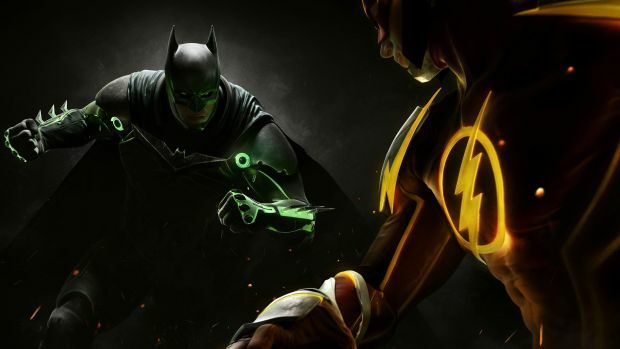 The UK charts for the past week are in and as per Gfk Chart-Track, NetherRealm’s Injustice 2 is on top. For publisher Warner Bros. Interactive, this their first number 1 in the UK for the year and the first fighting game to top charts since Mortal Kombat X released in 2015. Even more interestingly is the second place debut – Farpoint for the PlayStation VR. Not only has it bested PlayStation VR Worlds which had debuted at seventh on release but it’s the highest charting VR title ever. Grand Theft Auto 5 is in third place followed by Prey and another new debut Fire Emblem Echoes: Shadows of Valentia. Mario Kart 8 Deluxe has fallen down to sixth place while FIFA 17 is in seventh. Ghost Recon: Wildlands, Rocket League and the last new debut The Surge round out the charts. What are your thoughts on this week’s top 10? Let us now in the comments below and stay tuned for more information.